Last week, Essar Steel's Committee of Creditors (CoC) told both suitors, ArcelorMittal and Numetal, that their bids would only be considered if they repaid all pending dues owed by people/entities connected to them within a week. ArcelorMittal has just upped the ante in the battle for Essar Steel. According to a source in the know, the world's largest steel maker transferred Rs 7,000 crore in an escrow account of State Bank of India (SBI) yesterday to clear the debt of two companies it previously held stakes in - Uttam Galva Steels and KSS Petron. Last week, Essar Steel's Committee of Creditors (CoC) told both suitors, ArcelorMittal and Numetal, that their bids would only be considered if they repaid all pending dues owed by people/entities connected to them within a week. Furthermore, last month the NCLT had ordered the resolution professional (RP) and the CoC to reconsider the bids submitted by both parties in the first round of bidding back in February. At that time, Rewant Ruia, son of Essar Steel's promoter Ravi Ruia, had held a minority stake in Russia's VTB Capital-backed Numetal. According to The Economic Times, the overdues of ArcelorMittal was pegged at Rs 7,000 crore while that of Numetal was expected to be around Rs 40,000 crore. ArcelorMittal parked the funds with SBI just a day ahead of the deadline. The development comes days after Brian Aranha, executive vice-president (strategy, technology, R&D) at ArcelorMittal asserted that its bid for debt-laden Essar Steel is "eligible" and indicated that any pay off towards outstanding dues of Uttam Galva would be a "goodwill gesture". He had added that ArcelorMittal had initiated the declassification process as Uttam Galva's promoter before submitting bid for Essar Steel - clause 29A of the IBC prevents promoters of defaulting companies from bidding for stressed assets - but due to administrative delay, the declassification came after the bid submission. 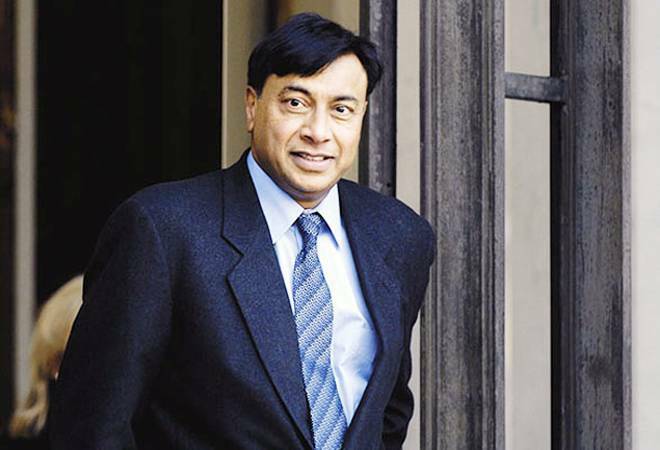 When contacted, ArcelorMittal refused to comment on transferring of about Rs 7,000 crore but said: "Any offer to pay any outstanding loans of companies where we only had a passive stake with no management or governance role, would be made without prejudice to demonstrate the seriousness of our commitment to India and Essar Steel India Ltd (ESIL)." The company added that they continue to believe that "a swift resolution" is in the best interest of Essar Steel, its stakeholders and employees. According to Mint, Numetal on Tuesday said it has informed the CoC that it is a fully eligible resolution applicant as per the Insolvency and Bankruptcy Code. "Neither Numetal nor its shareholders have any loans overdue with any creditors in India. Aurora, which had minority shareholder interest with 25 per cent equity in Numetal, neither had management role nor any right to directorship in the company. Neither Aurora nor its beneficiary has any loan irregularities with Indian lenders and banks," said Numetal, adding, "In any event, Numetal and other shareholders have already bought out Aurora's shareholding in the company." In order to be considered eligible to bid for Essar Steel, Numetal had roped in JSW Steel in the second round of bidding, which the NCLT disqualified. Numetal had first moved NCLT on March 20, pre-empting the NCLT decision to disqualify its original bid due to the connection with the Ruias. On March 28, its counsel Mukul Rohatgi had reportedly further requested that the resubmission of bids be deferred till the eligibility matter was heard on merits. "We welcome the NCLT order returning the matter back to the creditors for reconsidering our original bid. We have put forth a very compelling resolution plan both industrially and financially. We hope our proposal will be considered by the CoC with a fair and holistic view," a Numetal spokesperson said in a statement last month. It's making quite a U-turn now. On May 10, Numetal reportedly moved the National Company Law Appellate Tribunal (NCLAT) arguing for the second bid to be considered. This matter is scheduled to be heard tomorrow. Meanwhile the clock is ticking down to the May 20 deadline for insolvency resolution as per the IBC, which was previously pushed back from April 29 on account of the litigation drama.